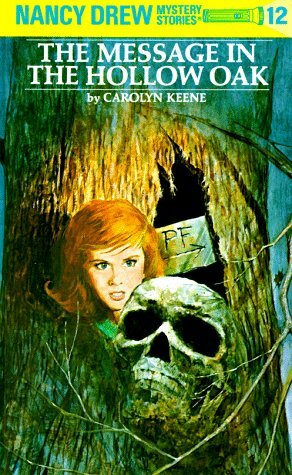 The twelfth Nancy Drew adventure takes us back in time when Nancy is hired to help find a missing treasure. Mr. Drew is helping some men on a case and on the side they hire Nancy to help out with a corresponding mystery. Every year a group of men find an adventure of their own, and this year they have chosen to go after the “message in the hollow oak” left by a missionary a long time ago. But they aren’t the only ones searching and soon Nancy finds herself mixed up with some not very nice men. All the while, she has been invited on an archeological dig near the area she is searching for the message and befriends a great group of people more than willing to help her out. This was a very fun adventure and I couldn’t wait to find out what happened.